Paul G Mattiuzzi is a writer, psychologist and member of a Google Docs using family. He currently writes, works and maintains a psychology resource website in California. As the Career Development Director for the Engineering and Computer Science College at Cal State Sacramento, Cici is well known as the go-to and "on top of the current technologies" person on campus. As her husband, I am part of her support staff. I am a psychologist by profession and a writer by trade. I help edit Cici's weekly newsletter, and I also help edit some of my daughter's papers. Lizzy is currently working on a Masters in Contemporary Urbanism at the London School of Economics. Despite having received the Senior Thesis Honor award last year at UC Berkeley, Lizzy still sends me her papers before she submits them. Despite having published a weekly newsletter for 20 years plus, Cici still asks me to check her grammar and punctuation before broadcasting this weeks' thoughts. Lizzy's in London writing a paper. I help edit it from my office in Sacramento. Cici's at the office and on deadline. I sign-in at Google Docs and I add the commas needed in her story. As it is today, our daily work-life would come to a grinding halt without Docs. For years, Cici has been telling me that I should get Microsoft Word on my computer. I've resisted, while has she kept telling me that I need to "catch up with the rest of the world." I guess you could say that I am some kind of computer Luddite (or not). I have been doing desktop word processing since before IBM first introduced a personal computer and before MS-DOS existed. 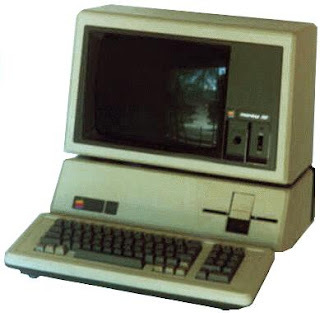 When it came time for me to write my doctoral dissertation, I spent $3500 to buy a 48K Apple ][. The only viable alternative at that time was an IBM Selectric Typewriter with a paper tape reader attached. In subsequent years, I've upgraded relentlessly, sticking with Apple products. So finally, when I convinced Cici that she should start sharing her papers on Google Docs, she got the picture. She saw that by using the most ordinary Docs feature, the ability to collaborate, I could edit her writing and she could see it happening in real-time. Finally, I was able to say to her: "Google Docs is how we need to do this ... you need to stop sending me those .doc files ... you need to catch up with the rest of the world."